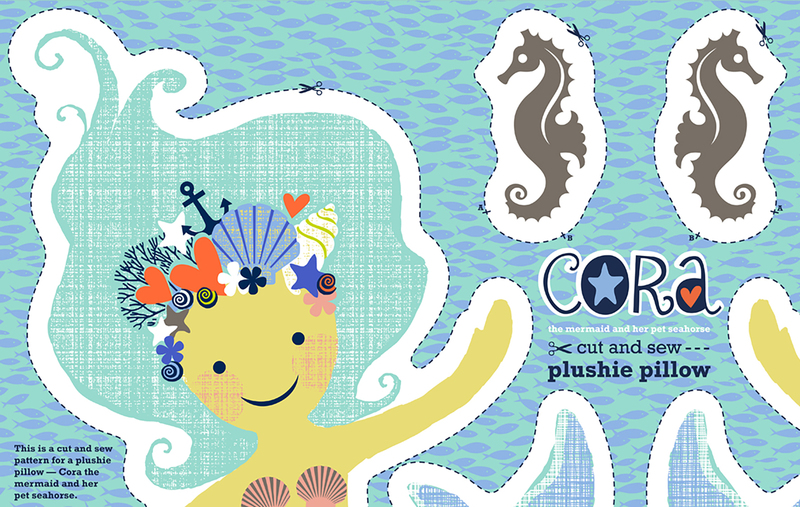 Ceri: I find that cut-and-sew panels are great fun to create. 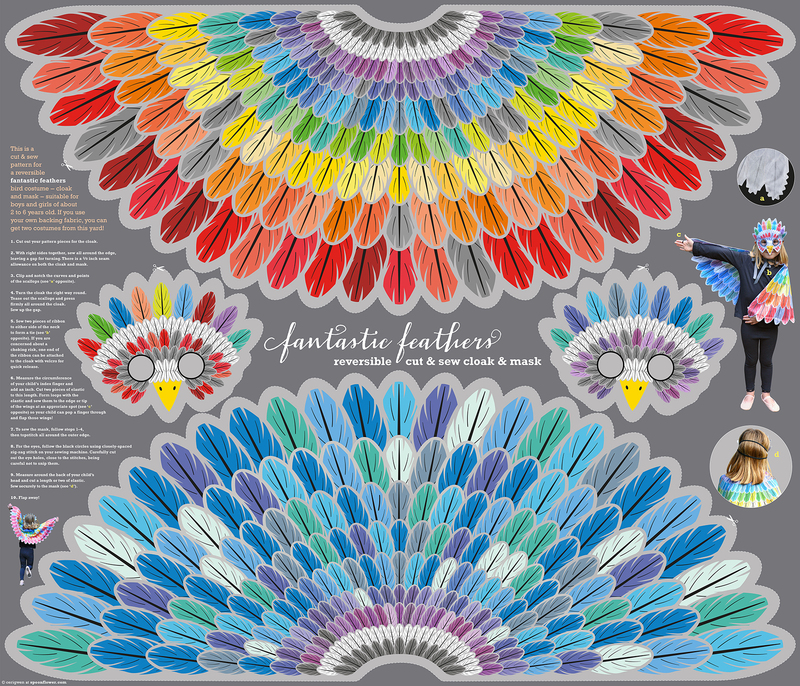 They can make wonderful additions to your Spoonflower shop and may provide something different for you to offer your Spoonflower customers. 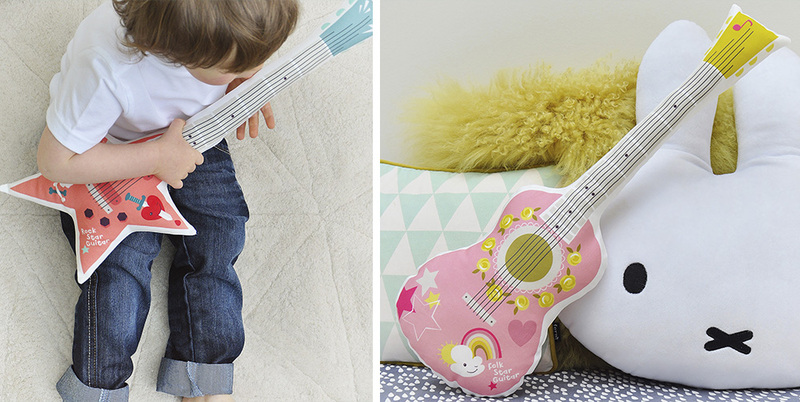 Toys, clothing, bags, accessories and home décor all make fabulous cut-and-sew projects which fit perfectly onto a panel of fabric—usually a fat quarter or a yard. I have a number of them in my Spoonflower shop and have enjoyed designing them immensely. If you have an idea for a cut-and-sew project, here are some hints and tips I’ve gathered along the way which I’d like to share with you, to help you bring your idea to life. 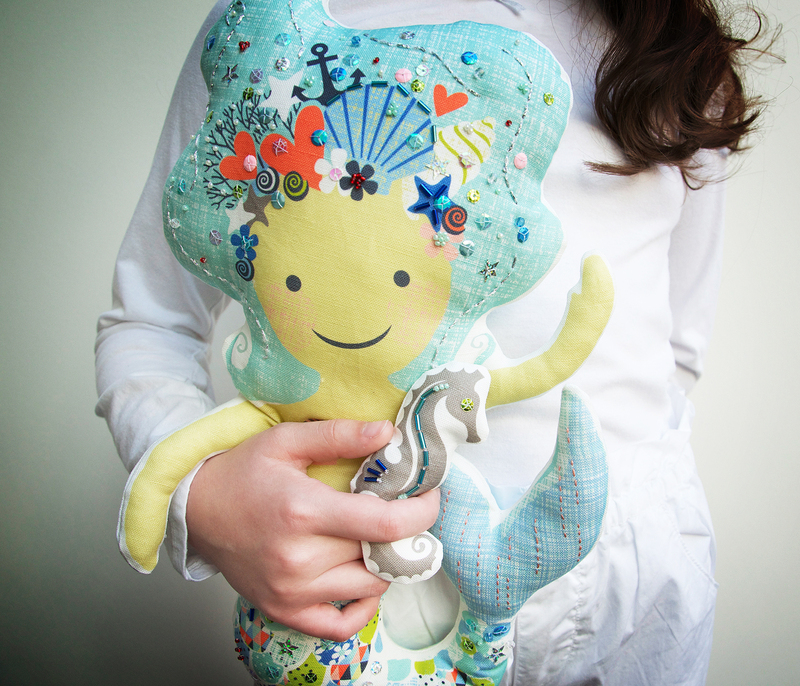 Simple plushies are fun to design and sew, and are a great project to fit onto a fat quarter of fabric. The simplest plushies consist of a front and back which are sewn together and stuffed to create a cushion or pillow. 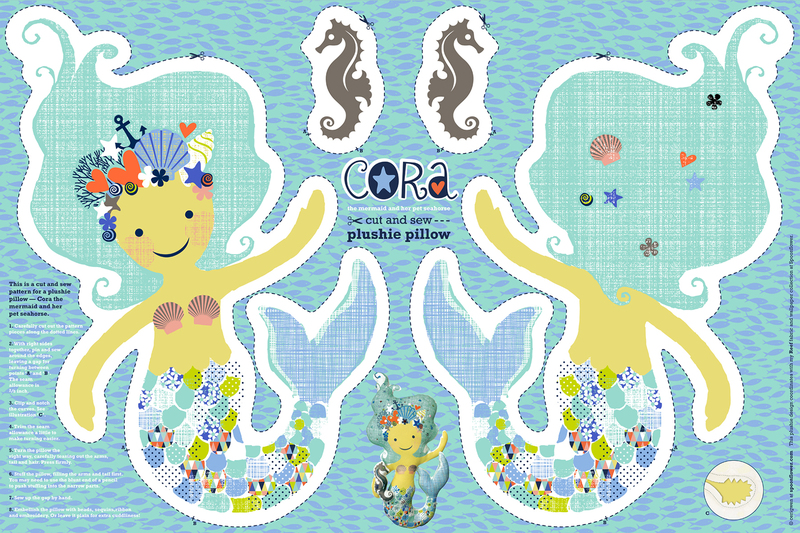 Cora the Mermaid uses just one 27 x 18″ fat quarter. Bags are also popular projects which you can create for cut-and-sew panels. Totes or handbags fit well onto a fat quarter or yard, depending on whether or not you want to include a fun lining, straps or pockets etc. 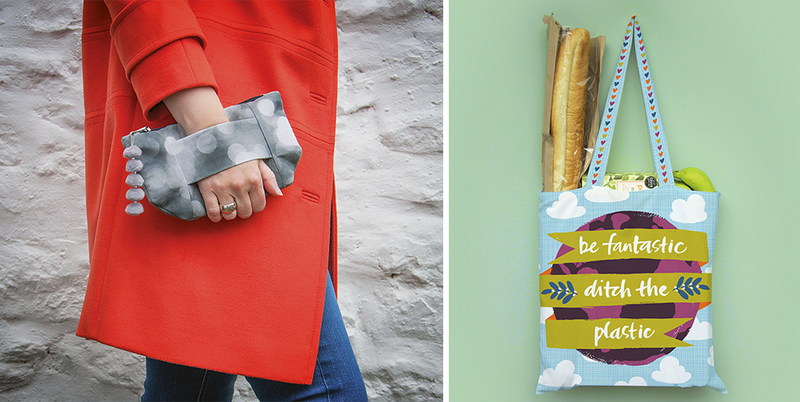 Take a closer look at my hand strap clutch with this tutorial and free PDF template! Clothing works particularly well for cut-and-sew panels as you can avoid the hassle of transferring pattern pieces onto separate fabric and the headache of pattern matching. 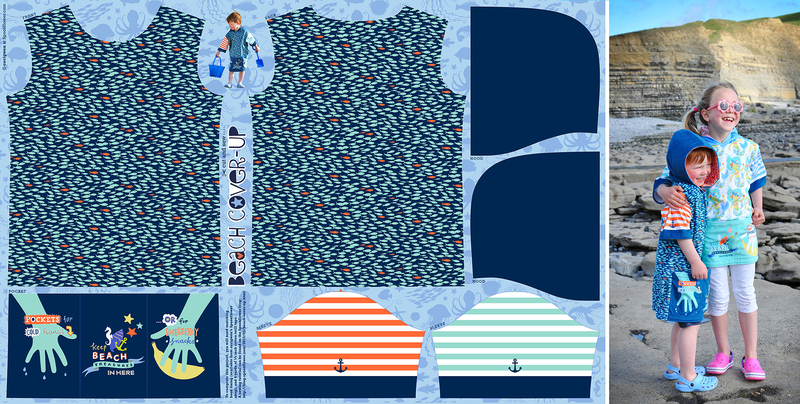 I’ve created cut-and-sew patterns for clothing projects as diverse as a Halloween costume to a beach cover-up! Admittedly, creating clothing patterns can require more than basic pattern-making skills, but with practice, the use of mock-ups, and a little confidence, it is entirely do-able! 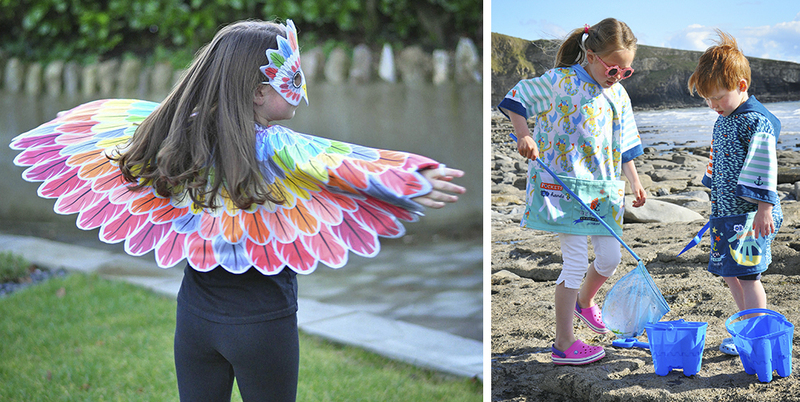 Fantastic Feathers and a Beach Cover-Up can all be created with just a yard of fabric! Once you have decided on your idea, consider which would be the most suitable fabric type for your project. For example, woven fabrics such as Kona® Cotton or Linen Cotton Canvas are pliable, stable fabrics with very little stretch and are easy to work with. Organic Cotton Knit or Minky are knits and therefore have an element of stretch to them and are softer. And if you’re looking for something stiffer with more structure, you may want to consider Dogwood Denim™. Don’t forget to start with a sample swatch or sample pack to make sure you’ve chosen the right fabric for your project. 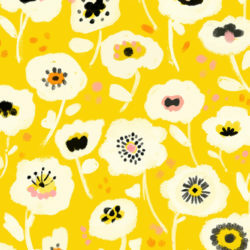 Whichever fabric type you choose, please note that Spoonflower fabrics vary in width. This means that the dimensions of a yard or fat quarter may be different from fabric to fabric. Decide which Spoonflower fabric would work best for your project, and then check the dimensions of that fabric before you start planning your panel layout. If offering your panel for sale, ensure that you clearly state in the description which fabric your project is suitable for printing onto. 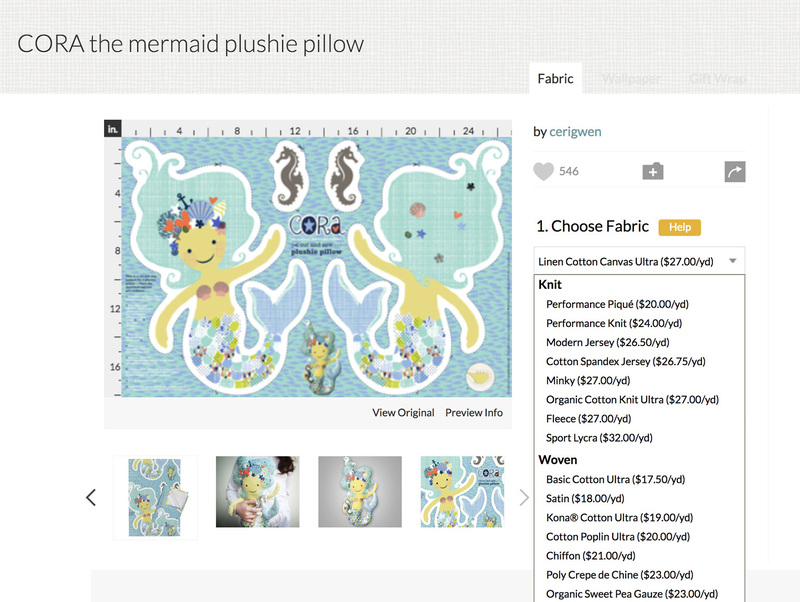 Pro tip: All fabric widths are listed on Spoonflower’s product page. To determine the width of a fat quarter, simply divide the fabric width by two! With cut-and-sew panels, it is very important to avoid fabric ‘wastage’. You should aim to make your layout as economical as possible. Try to plan the position and size of the pattern pieces so that every possible inch of the allocated area is used up (making sure that the grain of the fabric is taken into consideration). If there are still areas of unused fabric after you’ve exhausted all size and positional adjustments, try to come up with some ‘extras’ you could include as space fillers. 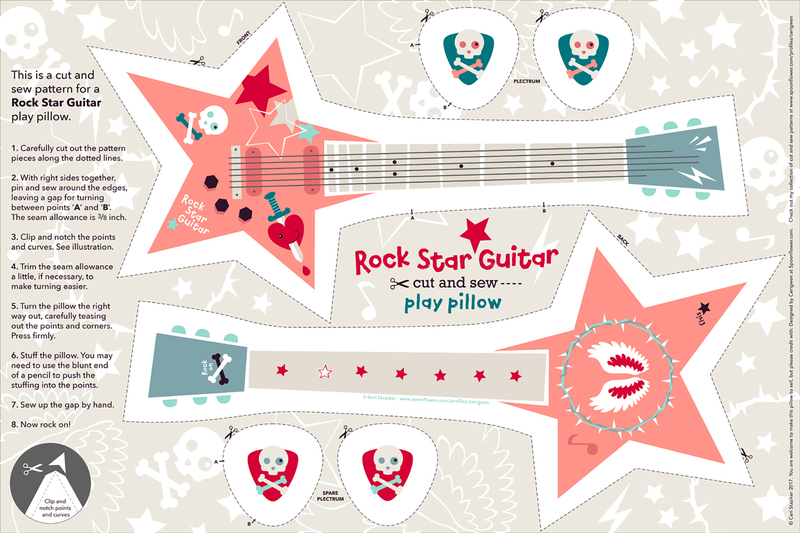 For my Rock Star Guitar plushie pillow, I came up with some plushie plectrums to use up unavoidable dead space. You could fill unused areas of fabric with a complimentary repeat pattern which could be used as scraps for other projects or quilts. Even the tiniest scraps can be used for covering buttons. If you are intending to sell your design, your customers will appreciate your efforts and feel that they are getting the maximum value for money from their purchase. It is essential to include some simple but clear sewing instructions printed onto the fabric panel, so make sure that you factor-in some space to allow for this. However it isn’t always possible to allow space for instructions. If this is the case, try to ensure you include a link to online instructions which you can upload to your website or blog, if you have one. 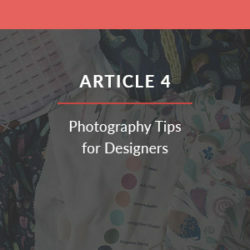 If your project includes some tricky sewing, or requires instructions which aren’t easily explained with words alone, include small diagrams or photographs to accompany these steps. Seam allowances, where required, should be included in your design along with an indication of how wide this seam allowance is, e.g. 1/2 inch. This should be clearly stated in the instructions. It is also useful to ensure that the cutting lines are obvious — I use a dashed line and a scissor symbol. Make sure that you test your design by making a mock-up (make several if necessary) with scrap fabric. This way you can tweak your pattern if necessary and be confident that your basic design works, especially before you make it available for sale. Flat cut-and-sew panels will look very different to the finished item — whether it’s a plushie, a handbag or an item of clothing. It is a good idea to photograph the finished item and include that on the printed panel. It will help to sell the project and help the customer to understand what the completed project should look like. Try to make your panel look as attractive as possible. Take as much care over the design of the layout as the pattern pieces themselves. It will ensure that your design gets noticed and will be more desirable to your potential customers, especially if they want to buy the panel as a gift. If you can include all of the above, you will be providing your happy customers with ‘the complete package’. Don’t forget to review Spoonflower’s Seller’s Guide to make sure you’ve optimized your design page. *Pro tip: Add a photo of your finished cut-and-sew project to the bottom left 8″ corner of your panel and choose the swatch preview option to display the final project in the Marketplace. See an example in here! So good luck, get your thinking cap on, and have the confidence to design your very own cut-and-sew project! 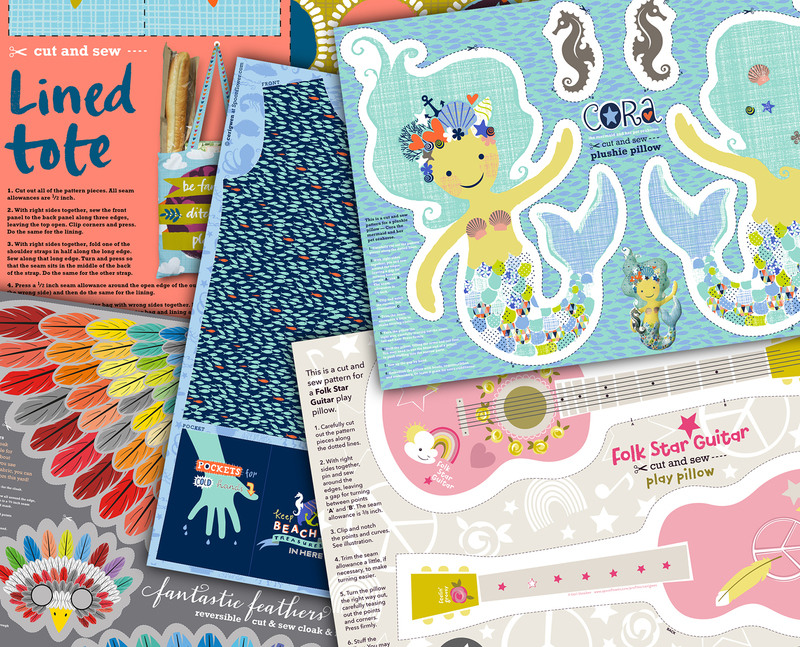 Now that you’ve got Ceri’s seven tips, don’t forget your design tools like The Spoonflower Handbook, color map and sample pack! 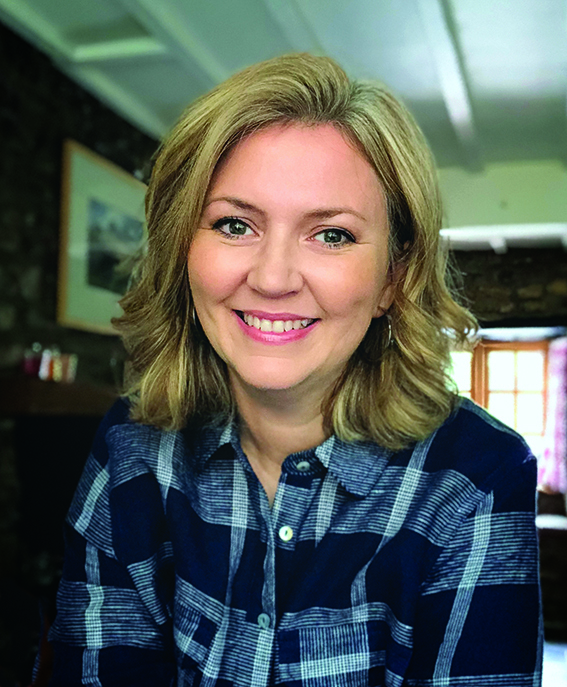 Ceri Staziker graduated from the University of Reading in England, with a degree in Typography, and has enjoyed a long career as a graphic designer. Her work took her to Seattle and London before the pull of home (Wales) got too strong and she now lives and works from an old cottage in a village outside Cardiff. 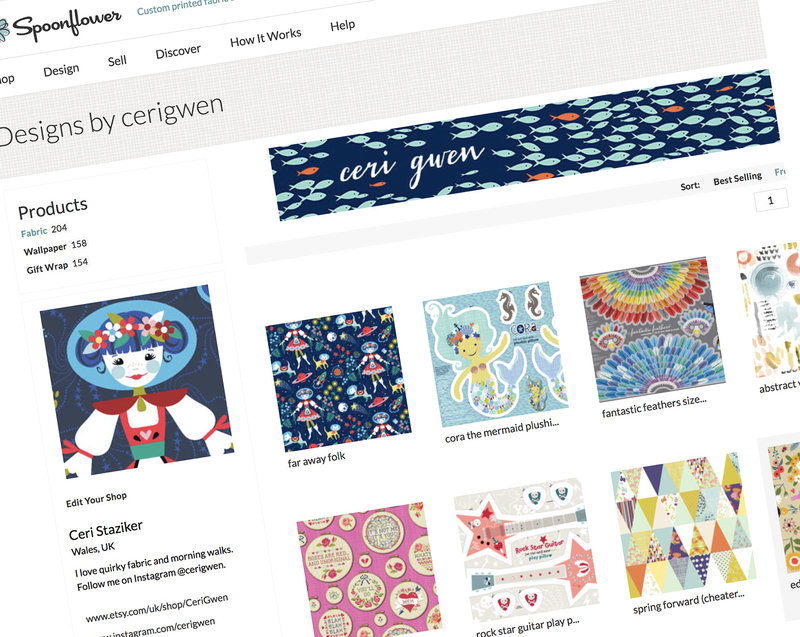 When Ceri discovered Spoonflower, she was able to combine her loves of design, fabric and sewing in one happy place. 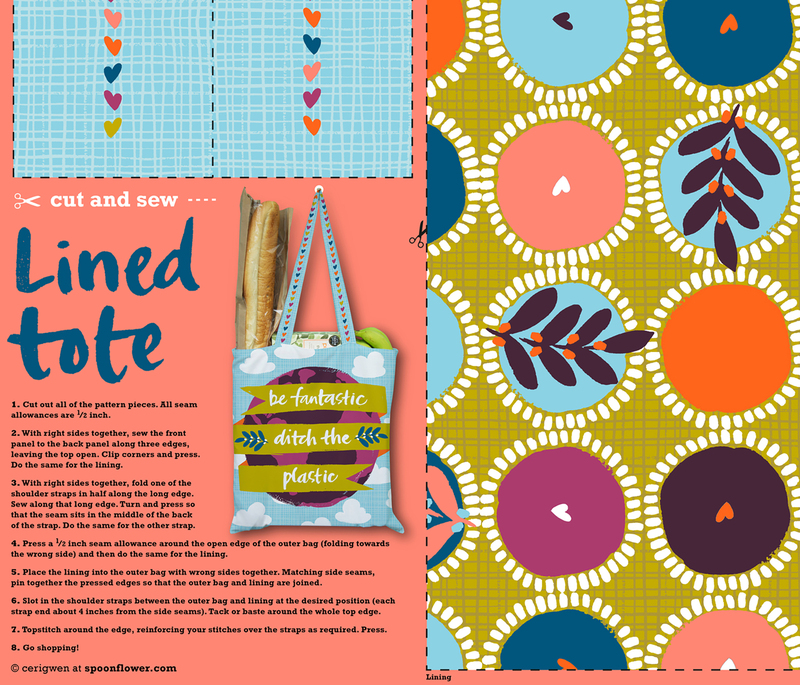 As well as having a growing portfolio of fabric designs, Ceri is also a regular contributor to the Spoonflower blog, where she shares tips, projects and sewing tutorials. You can also follow Ceri’s work and life in the Welsh countryside on Instagram @cerigwen. I always wanted to do something like this. Thanks for the tips. Thanks Ceri for all these tips on plushies! Does this have to be a panel? I have a design but it simply uses 2 fat quarters. Would this be an acceptable entry? How would I go about designing a cut and sew clothing piece like a shirt or dress? What program would I use and how do you get the measurements to be exact when you upload to Spoonflower? Thanks for your question! You could create a pattern in Photoshop or Illustrator but we would recommend doing some research on the web to determine the best programs for drafting your own digital patterns. 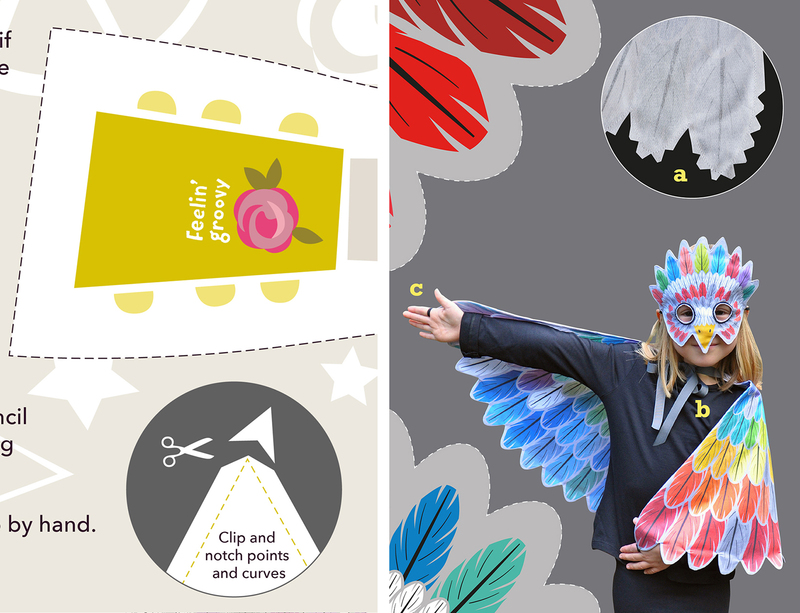 Here is a tutorial on how to digitize your existing patterns! To ensure the scale does not change once you’ve saved your file, you’ll want to make sure you create your file at 150 dpi, the default printing size at Spoonflower.